PRG stands for "Program source (dBASE IV - FoxPro - CA Clipper - dBFast)"
How to abbreviate "Program source (dBASE IV - FoxPro - CA Clipper - dBFast)"? What is the meaning of PRG abbreviation? 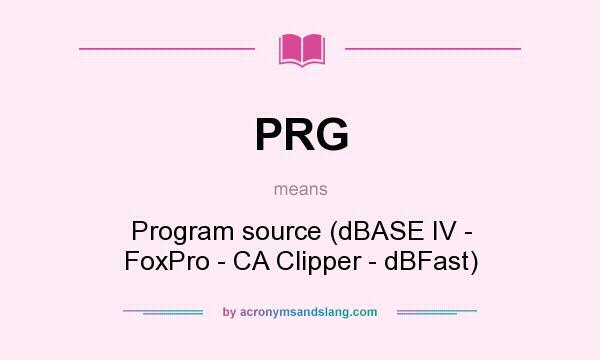 The meaning of PRG abbreviation is "Program source (dBASE IV - FoxPro - CA Clipper - dBFast)"
PRG as abbreviation means "Program source (dBASE IV - FoxPro - CA Clipper - dBFast)"